Our Grand Canyon rafting adventure was the best trip ever! We had a lot of fun for a 77 year old and a 75 year old who doesn't swim. We felt very safe. The food and campsite sleeping was well planned and the Grand Canyon scenery was great. 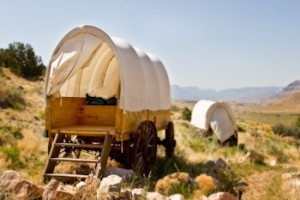 The Bar 10 Ranch was great, sleeping in a covered wagon was fun. Stopping here and there for sight seeing, was also interesting. I would tell any one who enjoys the outdoors to go for it, raft the Colorado River in the Grand Canyon!